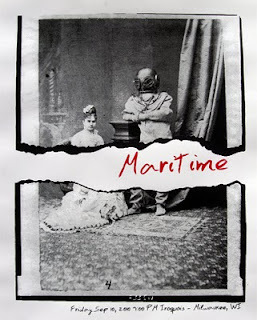 Here is the poster for Maritime from Milwaukee. The show is on a boat and the band is called Maritime. So a nautical theme was appropriate. 25x19" Mr. French stark white.